Day was introduced to house music in 1996 when she was asked to do a demo. She met German record producers and Mousse T, who produced a dance single “Keep Pushin”, which went on to reach No. 2 on the Billboard dance charts. She then sang chorus for Mousse T’s track “Horny”, which later gained in popularity when additional vocals from the duo Hot ‘N’ Juicy were added to the song. “Horny” reached No. 1 on the Billboard dance chart. The follow-up song “Hold Your Head Up High”, with Booom!, reached No. 6 on the Billboard dance chart. 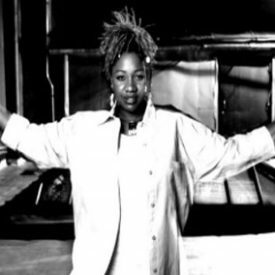 In 1997, she released the club anthem “Movin’ Up”, credited as DJ Mike Cruz Presents Inaya Day and Chyna Ro. For this record, long time friend and actress Tichina Arnold lent her vocals but chose to use the moniker Chyna Ro fr the project. She again teamed up with Cruz for “Can’t Stop Dancing” which reached No. 1 on the Billboard club play chart. 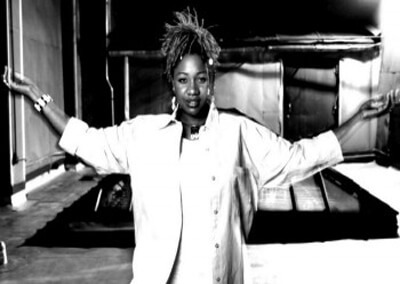 In 2004 she sang on a track by the Australian dance producer Mr. Timothy called “I Am Tha 1”, credited to Mr. Timothy featuring Inaya Day, which went to the top of the Australian dance charts and top 30 in the Australian pop charts. She also sang on his next single “Stand By Me” later that year. “Nasty Girl” was first released in Australia, reaching the top 20, and it was then released in the UK in July 2005, and reached No. 9 there. Later that year, she also guest featured on “The Glamorous Life”, a single by T-Funk, an alternate alias of mrTimothy. In June 2007, Day released a cover version of the 1988 Big Pig song, “Breakaway”, which itself was a cover of the song “I Can’t Break Away”.